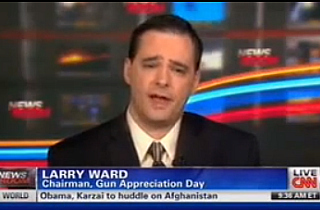 Larry Ward, chairman of Gun Appreciation Day. Larry Ward, chairman of Gun Appreciation Day, a made-up holiday to celebrate guns and gun owners, went on CNN on Friday to defend the day’s events. 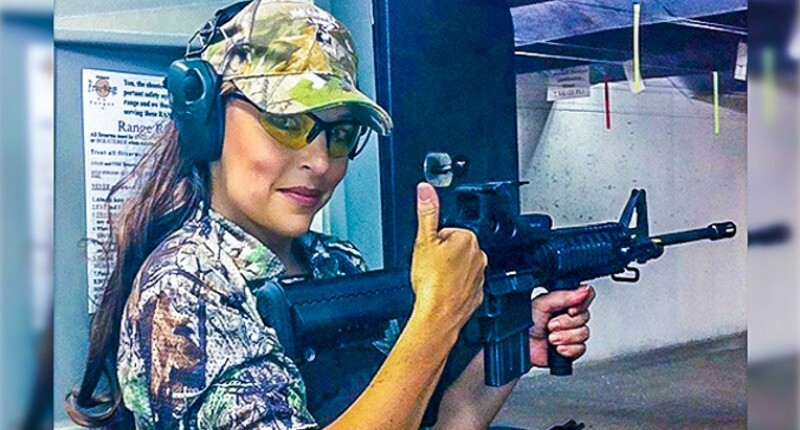 He suggested that Gun Appreciation Day, which this year falls on January 19th and just two days before Martin Luther King, Jr. Day, is actually in the spirit of Martin Luther King’s non-violent civil rights legacy. In fact, says Ward, slavery “might not have been a chapter in our history” had slaves been armed. He’s not wrong, actually. Slavery might not have gone so well if slavers had kidnapped Africans and stolen them from their homes and families, shipped them across the ocean in chains and deplorable conditions, and then promptly handed them a rifle the minute they were taken off the boats. Further, firearms were a means whereby slaves revolted against slavery. Slaves who gained access to arms often participated in frequent (but rarely taught) uprisings throughout the South. But, unfortunately, these uprisings were isolated incidents that rarely resulted in anything more than painful retribution against unfreed slaves and/or kin, indicating that access to firearms and resulting violence was not alone sufficient to end the -institution- of slavery. Let’s also examine for instance the notion that Martin Luther King, Jr. in particular would support arming slaves to revolt or protest against slavery. Martin Luther King, Jr.’s legacy was non-violent protest — the notion of returning violence with non-violence as a form of civil protest. 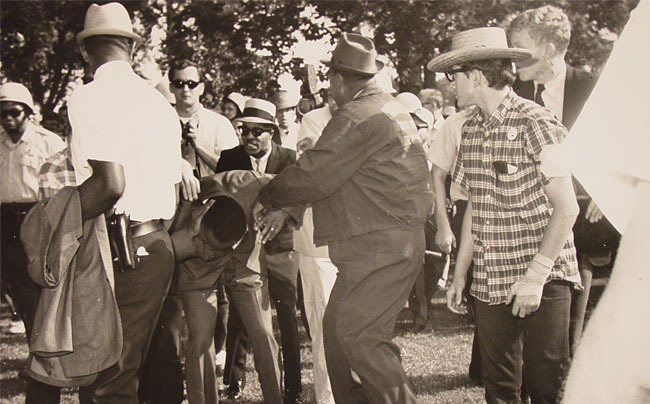 Famously, King was hit in the head with a rock during one of the marches he participated in, and still did not call for violence. In the end, however, the whole suggestion is absurd because we are talking about a time when slaves were bought and sold as property; when slaves were considered sub-human and incapable of complex thought by nature; when it was illegal to teach a slave to read. The hypothetical wherein slaves might have been granted the right to bear arms since this country’s founding — and in so doing “stop slavery” — is so far removed from the historical context of slavery and how it came about that it becomes patently absurdist.